The 2019 RAM 1500 is one of the toughest trucks on the road, making every job in Appleton a little bit easier thanks to impressive power and performance. 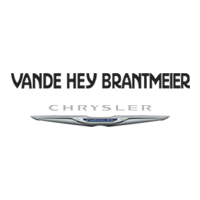 There is an endless supply of available truck bed accessories to take your RAM to the next level, and the parts experts at Vande Hey Brantmeier are ready to help get your there! Protecting your truck’s bed is vital for increasing its longevity and performance. RAM 1500 bed mats and liners can come in rubber, plastic, and TPO composite, each providing different levels cushioning and safeguarding against ongoing wear and tear. Bed mats are custom fit, reduce slips and skids, and help give you a flat, level work surface. When you install RAM 1500 bed rails and racks, you’re not only increasing the functionality of your truck, you’re adding style too. Bed rails and racks make it easier to tie down cargo and larger tools like ladders, giving you extra security when you’re towing a large load around Green Bay, and they come in a variety of finishes, including platinum, stainless steel, gun metal, and more. If you’re looking to spruce up your truck in Manitowoc, Vande Hey Brantmeier can help you find the right RAM 1500 accessory for the right price. Our parts department can order you genuine Mopar® parts to build out your dream truck. Contact us today!